At Hot Bodz & Custom Rods, we will bring your dreams to life. 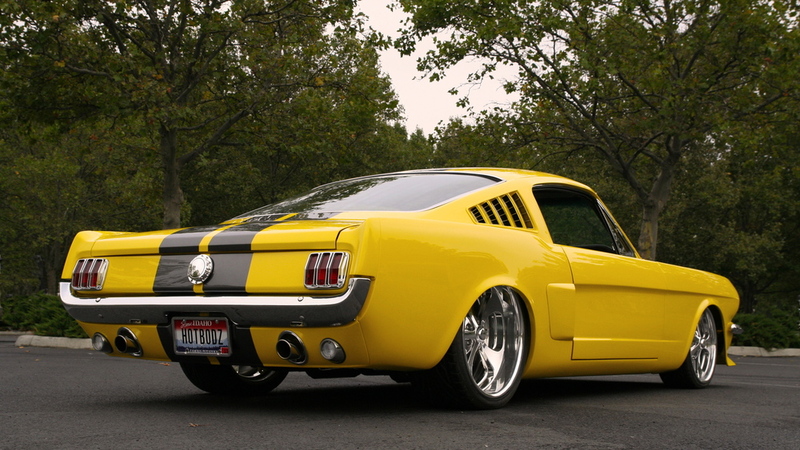 Our custom work comes in on time and on budget from small dings to major restorations or even full customs like the '65 Fastback you see here. We do complete paint jobs, restorations, and customs from the ground up for responsible, agreed-upon-up-front prices. We set time frames in advance. so your dream does not become a nightmare as happens so many times in the classic car business. Custom parts in metal or fiberglass. Sometimes new customers come to us with half-finished projects. When that happens, we're happy to begin work where the previous shop or individual left off. We work together with do-it-yourself customers to finish the parts of the project with which they are uncomfortable or unfamiliar. After we're done, we'll even give advice on how to finish up what's left.